Jonathan Baldwin, 37, of Harrington. A Harrington man was arrested Saturday afternoon after he allegedly crashed his pickup and stole two vehicles in a failed effort to avoid apprehension by the Maine State Police and the Washington County Sheriff’s Office. 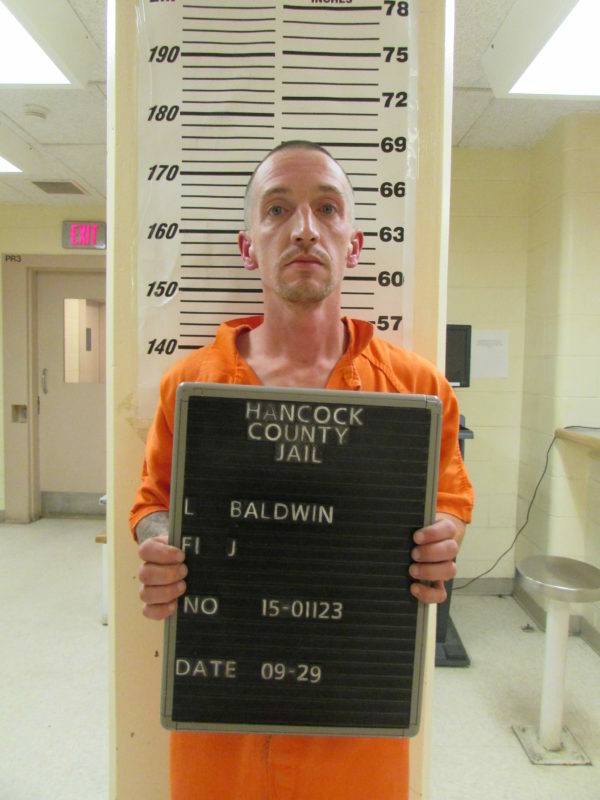 Jonathan Baldwin, 37, is charged with burglary of a motor vehicle, theft and violating the conditions of his release from a prior arrest, according to a Hancock County Jail official. The series of events that led to Baldwin’s arrested began about 9 p.m. Friday, when a resident of Harrington spotted Baldwin, who was wanted on a warrant, Maine State Police Lt. Rod Charette said Saturday in a news release. Charette said that the resident wanted to assist law enforcement and tried to keep his eyes on Baldwin. Baldwin, however, fled in his pickup truck, which he wound up driving off the road and rolling over, Charette said. Shortly after a lengthy K9 search by the state police, a silver Dodge pickup was stolen from Main Street in Harrington that police believe was connected with Baldwin’s attempt to escape. That vehicle was found Saturday morning, Charette said. Later Saturday morning, a white Ford escape was stolen from a residence on Elm Street in Cherryfield. At the time of his arrest, Baldwin was wanted for questioning about two recent motor vehicle burglaries, one in Roque Bluffs and the other in Franklin, in which more than $4,500 worth of property property was stolen.